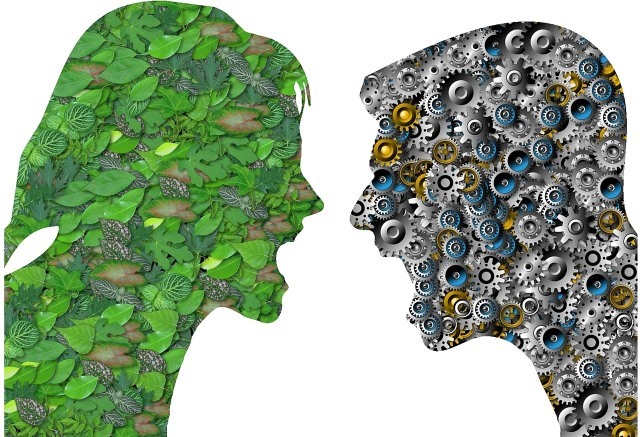 Ecology and Economics are closely related issues. Being a student of Economics, I have studied that inclusive development is not possible without adequate emphasis on environmental protection. Development and environment need to be seen as complementary, not antagonistic terms. 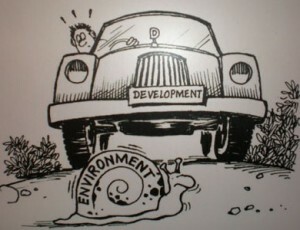 After all, if there is no Earth left, where will development take place?! Today, when the world is facing the harmful consequences of global warming and depletion of resources, environment conservation has become a topic of global significance, not just an issue with local importance. The matter is of paramount relevance in a developing economy like ours, as environment degradation drastically offsets improvements achieved by economic prosperity, apart from having serious implications for distributive justice. In my view, although the issue has gained more importance in today’s grave scenario, environment conservation is still a neglected sector, with excessive emphasis on ‘growth’ in terms of numbers, without focusing on ‘development’ in terms of quality. Improper implementation of policies, coupled with indifferent attitudes of authorities has accentuated the ineffectiveness of environment strategy in India. This has led to a host of problems like mounting pressures on depleting resources and poor waste management resulting in deplorable conditions and health hazards. Thus it is imperative to frame environment policy with holistic considerations of health, sanitation and overall development of the populace. More awareness & sensitivity towards the environment is the key to environmental conservation. A possible measure for this would be to inculcate awareness among students. Providing infrastructure for waste management, water harvesting and paper recycling in schools and colleges can go a long way in sowing the seeds of environment consciousness in young minds. Concurrently, it is also crucial for the government and policy makers to ‘walk the talk’ by adopting water harvesting & waste management and using efficient energy sources in government offices, in addition to having laws that reinforce other initiatives; for example, to make a ‘Say no to crackers’ drive by students successful, the government can play an important role to reduce consumption of crackers, possibly by higher taxes. Thus, positive encouragement for judicious use (concessional rates of solar equipment and efficient appliances) and negative incentives for misuse of resources (higher taxes for inefficient cars and high energy consuming buildings) should be provided. Apart from this, at the micro level, each one of us can contribute towards the betterment of the environment, simply by living by the principle of “REDUCE, REUSE and RECYCLE”. Really, it does not take much time or effort to be judicious about the usage of precious resources like electricity, water and paper. Small steps do have a profound impact-and the sooner we realize this, the better it will be for our Earth and our future generations. The existing system is so economics inclined that it is difficult to think of it to bring in the externalities of the environment….unless we ensure a power shift of some kind. For that alone can now determine a shift in the mindset. Perhaps a shift in mindset can bring about a power shift!! Possibly a youth organization that participates in active politics could bring about such a change.. These are figures of “Ecocide”. These are figures of “crimes against Nature”. These are figures of “destruction of Ecosystems”. These are figures of “Insanity, Abnormality and Criminality”. very good thought. I am with you.